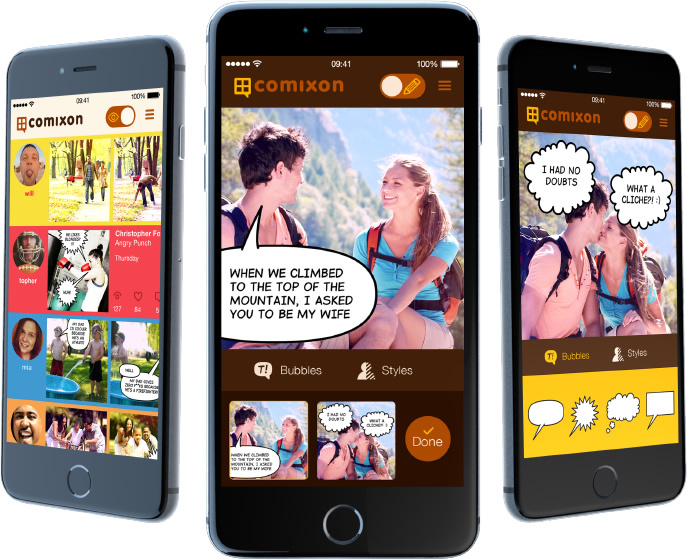 Present the first version of Comixon app for Apple's iOS platform, helping users to transform their photographic memories into creative, stylized comic strips. Each day, we experience so many remarkable events, whether in our work life or traveling adventures, watching our children grow, or our pets getting into all kinds of mischief... the moments we want to remember are unpredictable and delightful. We don’t merely experience these moments, we have come to share them with our friends, family, and even the world, through technology and social media. Comixon was designed to raise this experience to a new level. Through this application, your stories will become alive, taking on the character and mood of a captivating comic experience. questions get more at our resources.